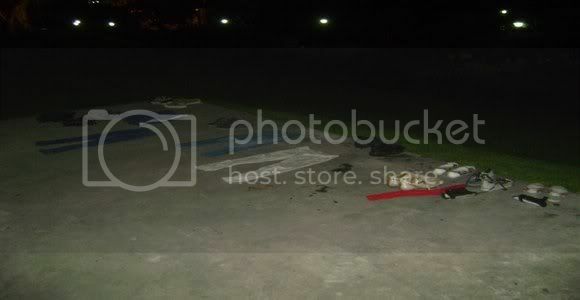 Update: (18 JAN 2010) The homeless in Sembawang Park have been given proper lodging. Some of them met with MCYS this morning. All of those who lived in the tents have moved – voluntarily – to flats. TOC will keep our readers updated. The summons referred to Section 9(1)(a) of the Parks and Trees Regulation Act 2005 which makes it an offence to conduct a barbeque without a permit, among other things. The camping permit does not include permission to barbeque, apparently. The officers insisted repeatedly that this writer identified those among the campers who were homeless and that their names and particulars be given to the officers. This writer declined to do so. TOC then asked if there were any representatives from MCYS. A female officer stepped forward. On being questioned, she would only say that those who were homeless would be brought to an “institution”. 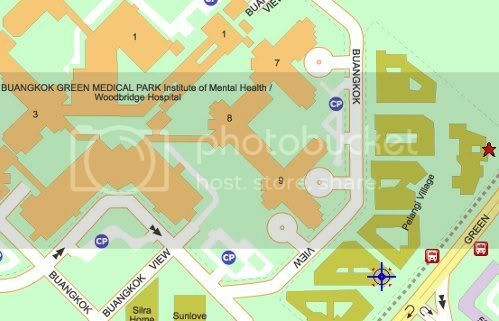 When TOC probed further on what this “institution” is, she disclosed that she was referring to Angsana Home, located at Buangkok Green, next to the Institute of Mental Health. The home is part of Pelangi Village, a purpose-built Social Welfare Complex and houses the elderly destitute and ex-drug addicts. TOC understands from the campers that Dr Vivian Balakrishnan, minister in charge of MCYS, had visited the camping site last Thursday afternoon. In the evening of the same day, two of the families were told to pack up and were then effectively carted off to Angsana Home. When they arrived at the home, they had to pass through a security gate which could only be unlocked with a pass by one of the attending officers, who claimed to be from MCYS. Once they were brought to the room where they would stay, they were told that they could not leave the premises. To do so, they would have to make a request. According to one of the families, when they requested for food, they were given two pieces of roti prata to be shared among the family of six persons. The mattresses they were provided were also in bad condition. Some of them had rashes the next morning after having slept on them. Two of those locked in had to go to work in the morning and asked to be let out of the premises. Their request was denied. Eventually, one of them told TOC she lost her job because she was unable to show up for work. When TOC asked the officer about this, she said she “guarantees” that those who needed to go to work would be allowed to. Still, TOC told her, it isn’t quite right for the authorities to forceably keep these people behind locked gates and to confine them. After all, they have not committed any offence, neither are they criminals who deserved to be locked up. Further, the homeless do not seem to have been given a choice of deciding whether they wanted to be housed at Angsana Home. According to the lady from MCYS, the stay at Angsana would be a temporary one, until MCYS finds a place for them. She said it would be “for a day or two”. It is hard to persuade people you want to help with such complete lack of coordination and heavy-handedness, TOC told her. Not with police cars with lights flashing, officers from the government ordering tents to be dismantled and summons being issued. We suggested that there were two choices – one, the campers would be allowed to stay for another day or two while MCYS looked for a proper housing option for them; or two, if they were to be housed temporarily at Angsana, they have to be assured of freedom of movement. By this time, a senior female officer had taken over the discussion. She agreed to let the campers stay at Sembawang Park until Monday, 18 January, when six of the campers will meet with her at the MCYS office for further discussions to resolve the situation. She said she will push for the HDB to issue “interim flats” to the campers in the meantime, or to see if any Voluntary Welfare Organisation could take them in temporarily. TOC spoke to some of the homeless about a week earlier and we understand that some of them had applied for rental flats with the HDB. However, their applications were rejected for various reasons. Some have also paid repeated visits to the HDB to apply for these flats. TOC understands that a summon for overstaying could mean a $200 fine, something which the homeless can hardly afford. Campers are only allowed to camp for a maximum of eight days in a month, with consecutive-days camping fixed at a maximum of five days. We asked if the authorities would consider waiving the fines from the summons issued to the homeless campers. The MCYS senior officer said she would speak to NParks as, she said, it was not in her power to decide. It was almost midnight before the situation was finally resolved – at least for now. Only five out of the 20 or so tents were left standing – and none of the homeless was carted off to Angsana Home.